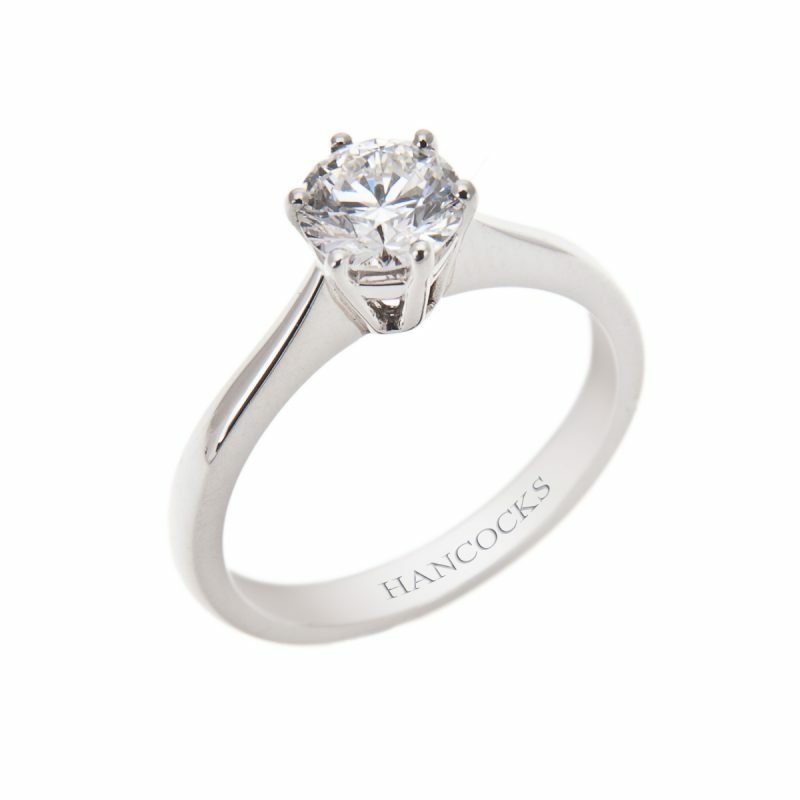 Elegantly set in a 4-claw platinum mount, this has a very high colour and clarity and it is the perfect design to showcase the natural beauty of this dazzling diamond. 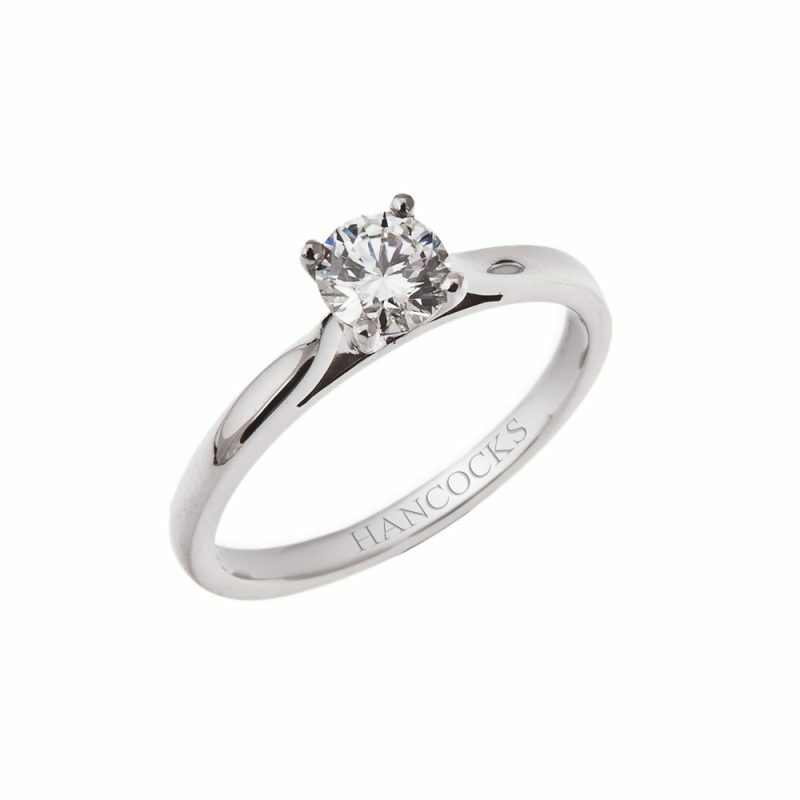 A diamonds cut has a significant impact on its value, the modern brilliant has 57 facets that reflect the light as brilliance and fire. 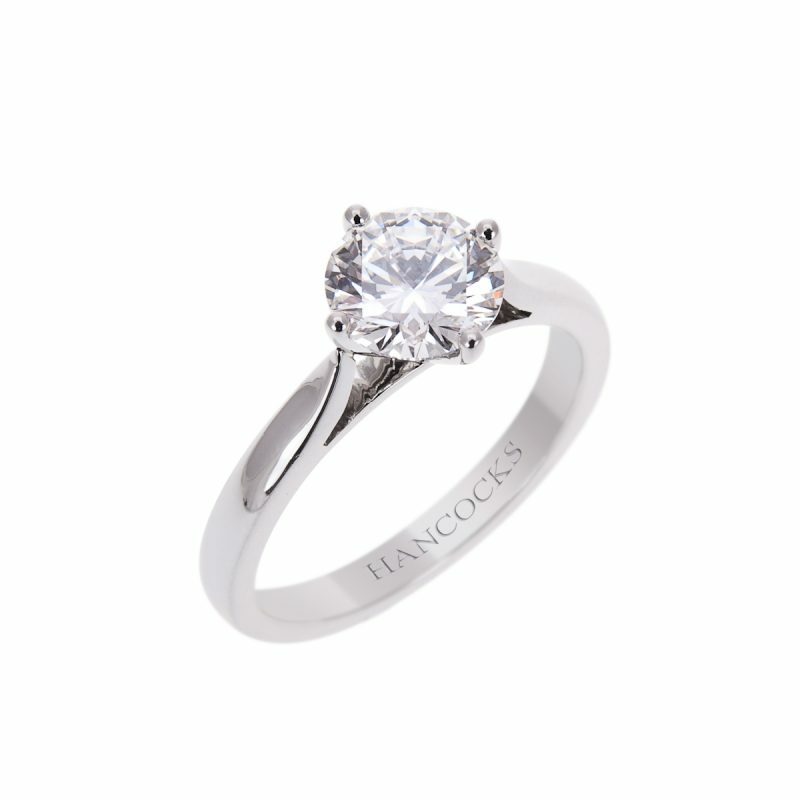 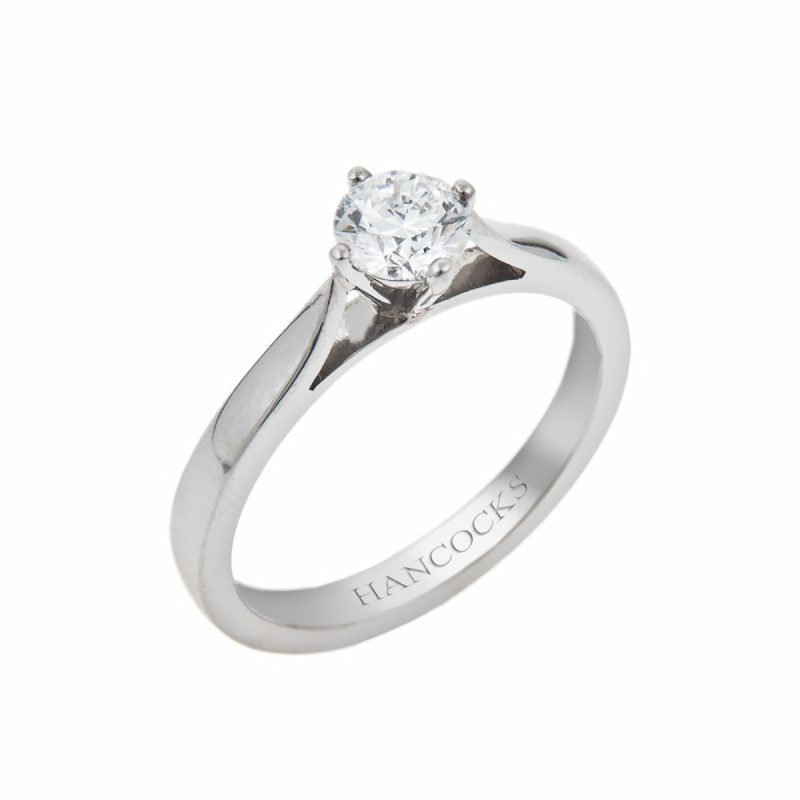 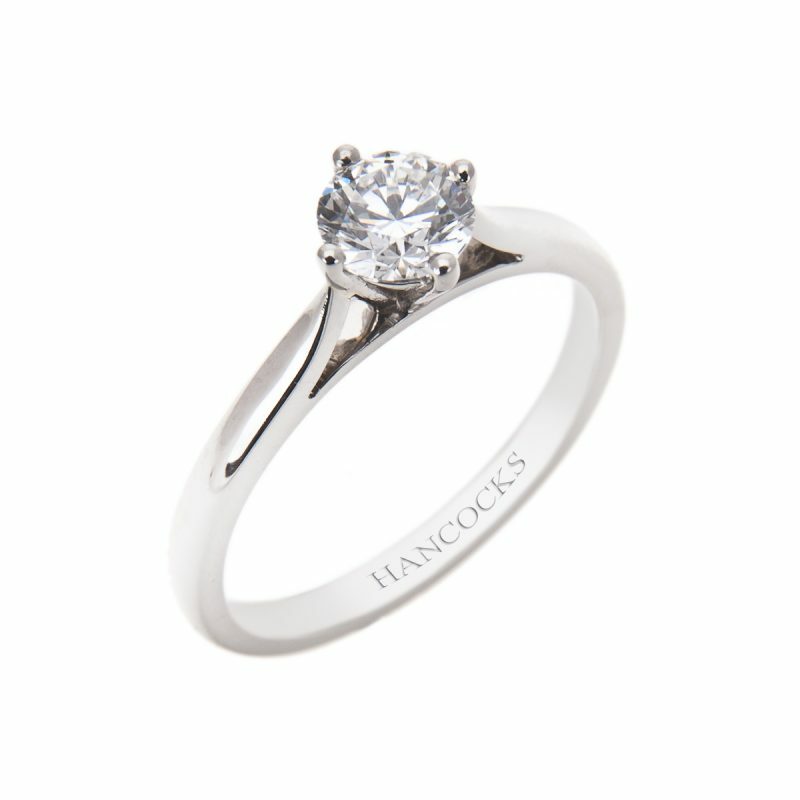 Hancocks, very carefully select only the best proportioned stones to mount in their rings.